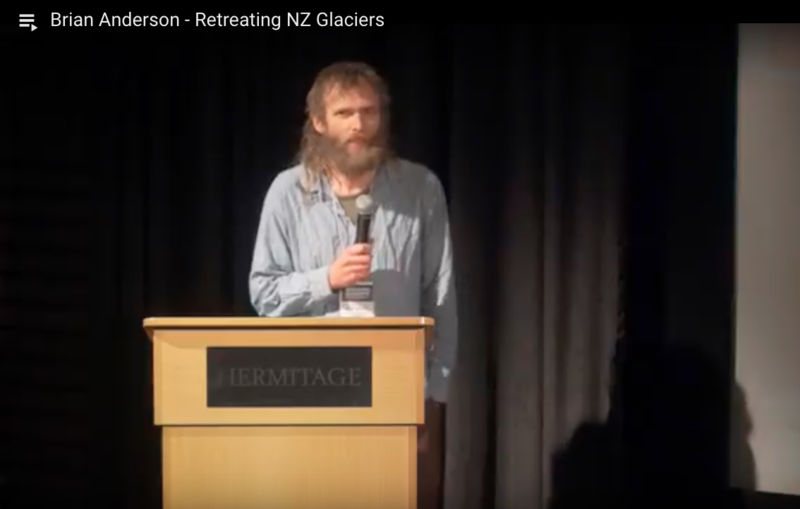 Brian Anderson is a Senior Research Fellow at the Antarctic Research Centre, Victoria University of Wellington. Dr Anderson’s research uses knowledge of glacier dynamics, mass balance and glacier‐climate interactions, to complete mathematical modelling of glacier systems to investigate questions in paleo‐climate science and present day/future climate change. He has published widely in scientific journals on temperature changes and glacial fluctuations. To monitor the rapid change glaciers in the Southern Alps/Ka Tiritiri o te Moana, Brian and colleagues have installed timelapse cameras at four glaciers which take images every hour and are compiled into short movie clips, showing the flow of the ice and the rapid retreat of the glacier terminus.